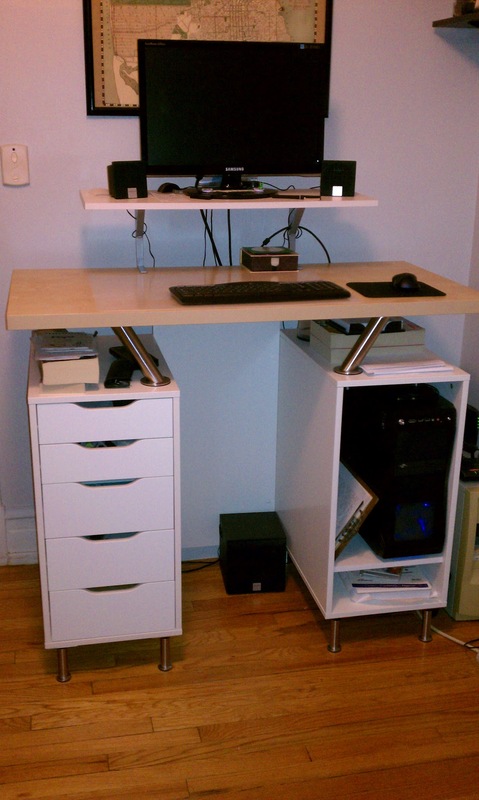 ​Using ideas from other standing desks on IKEA Hackers, I came up with my own version. I call it the VIKA standing desk, since it uses mostly VIKA system products. The entire project cost about $260 (without taxes).